Bernard Arnault Net Worth, Family, Education and Career. 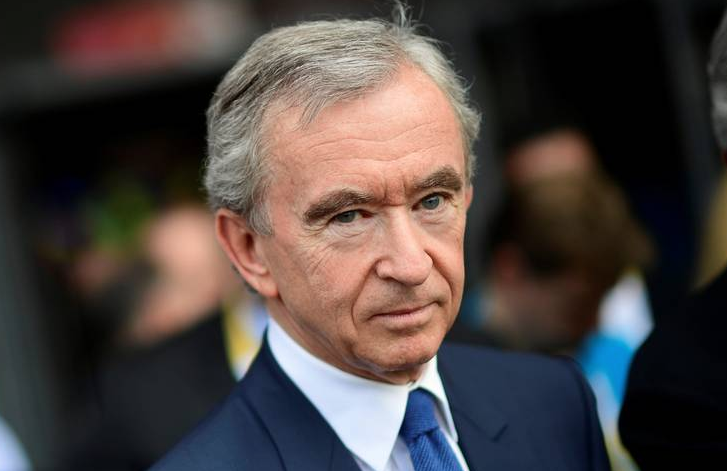 Bernard Arnault Net Worth… Bernard Arnault is the richest man in France and the fourth richest man in the world. He currently has a net worth is $85.8 billion dollars. Bernard Jean Etienne Arnault was born on 5th March, 1949 to Jean Leon Arnault (Father). His father was a manufacturer and owner of Ferret-Savinel, a civil engineering company. He has been married twice; to Anne Dewavrin from 1973-1990 and Helene Mercier-Arnault from 1991 till date. He had two children from his first wife; Delphine (daughter) and Antoine (son). He has three sons with his second wife; Alexandre, Frederic, and Jean. Bernard Arnault graduated from the Lycee Maxence Van Der Meersch in Roubaix. He was later admitted to the Ecole Polytechnique in Palaiseau where he graduated with a degree in Engineering in 1971. After his graduation, Bernard joined his father’s company. In 1976, he convinced his father to wind up the construction division of the company for 40 million French francs and focus on real estate business. The new name of the company became Ferinel and they developed a specialty in holiday accommodation. In 1974, he was named the Director of Company Development, in 1977 he became the CEO and he became the president of the company after his father in 1979. In 1984, Bernard acquired the Financiere Agache, a luxury goods company, with the help of Antoine Bernheim, a senior partner of Lazard Freres. As the CEO of Financiere Agache, he eventually took control of Boussac Saint-Freres, a textile company. Boussac owned Christian Dior, a departmental store, a retail shop, the diapers manufacturer; Le bron Marche, Conforama and Peaudouce, respectively. Bernard sold nearly all the company’s asset, remaining only Christian Dior and the departmental store, Le Bron Marche. In the 1990s, after the creation of LVMH, a brand new luxury group, Bernard developed a centre in New York. He chose Christian de Portzamparc to supervise the project. The result was the LVMH Tower opened in December 1999. Bernard Arnault also invested in several web companies such as Boo.com, Zebank and Libertysurf through his holding Europatweb. In 1999, he also invested in Netflix. In 2007, it was announced that he owns jointly with the California property firm Colony Capital. In 2008, he joined the yacht business and bought princess yacht for 253 million euros and eventually had control over Royal van Lent. Bernard Arnault is noted as an art collector and for his collection which include works by Picasso, Andy Warhol, Henry Moore, and Yves Klein. He owned an art auction house, Philips de Pury & Company from 1999-2003. He started the building project of the Louis Vuitton Foundation in 2006; the building was designed by the architect Frank Gehry. The grand opening of the foundation was held on the 20th of October, 2014 at Jardin d’Acclimatation, Paris.